Easel is a drawing chair intended to be used for large scale drawing on an easel or a drawing board. 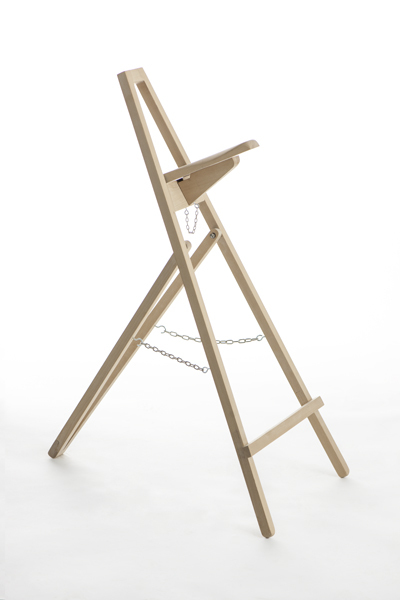 Easel invites you to sit in two ways: with a backrest, or with abdominal support. Both these positions will give your body good ergonomic posture when you draw. The chair can be folded and hung on the wall, and as such it is a space-saving and convenient furniture.